LONDON, UK, 2018-May-03 — /Travel PR News/ — Wizz Air UK Limited (“Wizz Air UK”), a wholly-owned subsidiary of Wizz Air Holdings Plc (“Wizz Air”), one of Europe’s fastest growing airline groups, is pleased to announce that it has been granted an Air Operator’s Certificate (AOC) and Operating Licence (OL) by the United Kingdom’s Civil Aviation Authority. Wizz Air UK, headquartered at London Luton airport, begins operations on 3rd May, with the first flight between London Luton and Bucharest. Wizz Air UK will have 8 brand new Airbus A320 and Airbus A321 aircraft in service by the end of 2018, representing an investment of USD 860 million** and creating 300 new direct jobs with Wizz Air UK for management, pilots and cabin crew. With the addition of Wizz Air UK, the group will have almost 9 million seats on sale on its low fare routes to and from the UK in 2018, some 14% growth year on year. 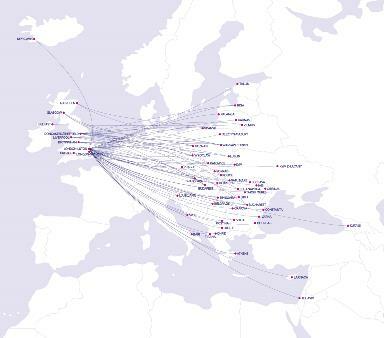 Wizz Air is now the eight largest airline group operating in the UK, with flights to 74 destinations in 23 countries from 9 UK airports, including eight new routes for 2018 from London Luton to Larnaca, Tirana, Tallinn, Bratislava, Lviv, Athens, Keflavik and Bari. Great value fares start from as little as £13.99* and can be booked online at wizzair.com. This entry was posted in Airlines, Airports, Business, Flights, Travel, Travel Services, Travelers and tagged Civil Aviation Authority, József Váradi, Operating Licence, Wizz Air UK Air Operator’s Certificate. Bookmark the permalink.